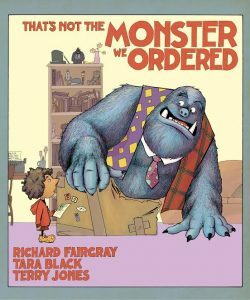 That’s Not The Monster We Ordered by Richard Fairgray, Tara Black, and Terry Jones (9/6/16, Sky Pony Press, Ages 3–6):The day the Turner family gets their very own monster is a momentous event in the neighborhood. Except, the monster that shows up isn’t the monster they ordered at all. That’s Not the Monster We Ordered is a fun and silly picture book about how something can be pretty great even though it’s not quite what you expected. This book from the brilliant minds behind Gorillas in Our Midst and My Grandpa Is A Dinosaur and newcomer Tara Black is an enjoyable new twist on traditional household pets and is full of enough silly antics to warrant multiple rereads. Young children will laugh out loud over this story and I love the illustrations! This one can be purchased at Amazon.com. 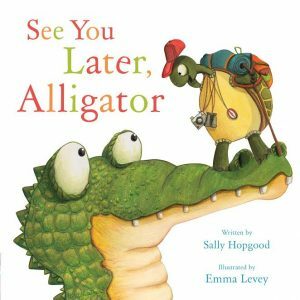 See You Later, Alligator by Sally Hopgood and Emma Levey: (9/20/16, Sky Pony Press, Ages 3–6): A departing tortoise has his bags packed and is almost ready to set out on an adventure, but he can’t leave until he says good-bye to each of his animal friends. This sweet and colorful book is a silly story with bright, engaging illustrations and expressive, rhyming text that children will want to read—and giggle through—again and again. This is such a fun book for young children! 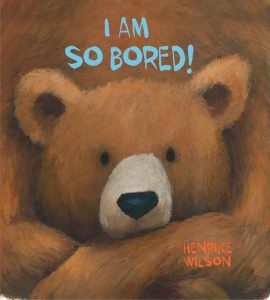 Do you have a child that says they are bored? They will love this one! I Am So Bored! by Sally Hopgood and Emma Levey: (9/20/16, Sky Pony Press, Ages 3–6): A departing tortoise has his bags packed and is almost ready to set out on an adventure, but he can’t leave until he says good-bye to each of his animal friends. This sweet and colorful book is a silly story with bright, engaging illustrations and expressive, rhyming text that children will want to read—and giggle through—again and again. This next one is such a cute story! 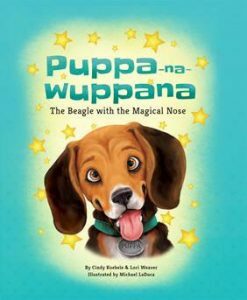 The entertaining series of Puppa-na–Wuppana books is based on the real-life antics of Cindy Koebele’s very own beloved Beagle! The real life Puppa-na–Wuppana is always having new adventures. Key messages include the wonders of adopting a pet from a Beagle farm for children and families; learning responsibility by having and taking care of a pet and the joy having a pet in the home for a family or individual. I love how this teaches about the responsibility of taking care of a pet! It can be purchased on Amazon.com and is also available for the Kindle. 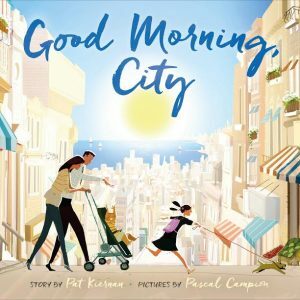 I just love this next Picture book! The illustrations are amazing and so is the story! From bakers to newspaper deliverers, to traffic controllers and school bus drivers, GOOD MORNING, CITY introduces all the various people who wake up extra early so that you can start the day! This one is perfect for younger readers! Looking for a Chapter Book Series for your Dinosaur loving Kid? MICROSAURS is a new chapter book series from video game developer and illustrator Dustin Hansen, which combines dinosaurs, skateboarding, and fun gadgets for unforgettable adventures! 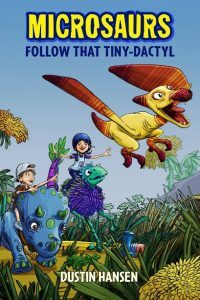 In this first Microsaurs adventure, FOLLOW THAT TINY-DACTYL, Danny and Lin follow a tiny pterodactyl to a secret laboratory, and find themselves shrink-ified and surrounded by dinosaurs! Soon, they’re enlisted by Professor Penrod, the paleontologist who discovered the Microsaurs, to watch them while he goes looking for more. Who knew that tracking one tiny pterodactyl would open up such a giant world of adventure? With punchy illustrations, neat gadgets, and informative backmatter filled with facts about the real-life dinosaurs on which the Microsaurs are based, this new chapter book series is sure to appeal to dinosaur fans, daredevils, and young scientists alike! I received a copy of this book and enjoyed reading it with my young nephew. He loved the characters and all of the adventure! 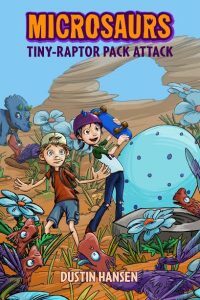 MICROSAURS: TINY-RAPTOR PACK ATTACK also came out this past summer! You can purchase both on Amazon.com. Living in Southern California and loving the beach I can relate to this next one! But, this is not really a book about surfing at the beach! It’s truly much more than that! 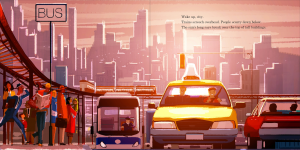 This is a one-of-a-kind children’s book series The Tuttle Twins by Connor Boyack, who is president of the free market think tank Libertas Institute and a father of two. This unique series aims to help parents teach their children fundamental American values like free market economics and limited government. I actually was quite impressed with this book and highly recommend it for children ages 6-11. It’s educational and entertaining! It really teaches an important lesson! 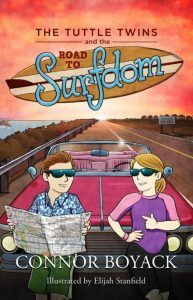 The Road to Surfdom is available at TuttleTwins.com/Surfdom. For more information about The Tuttle Twins series and Connor Boyack, visit www.TuttleTwins.com. Self Disclosure: I received free copies of the above books to facilitate this post. Photos and info were provided. I only feature books that I highly recommend!